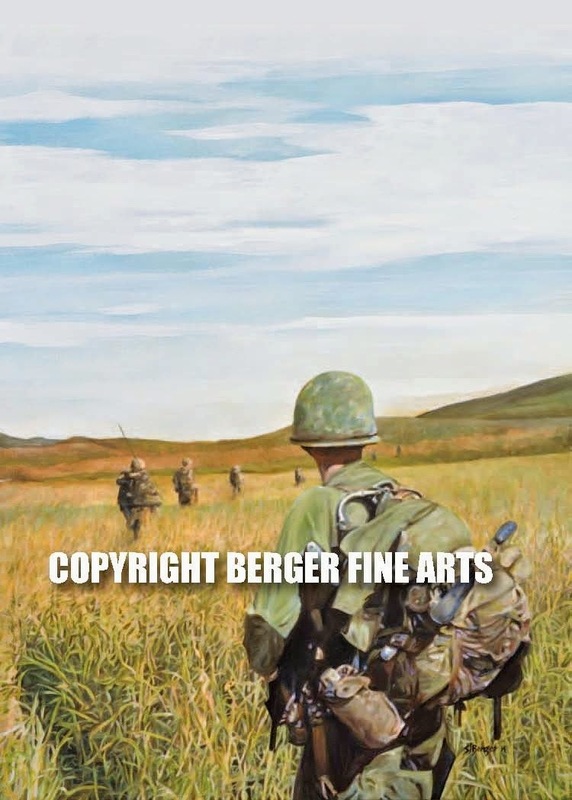 In time for Memorial day the original painting titled "Green Line" is now for sale. This original piece measures 33"x43"and is already stretched and ready to either hang on the wall or put in a custom frame. This dramatic representation features U.S. soldiers on patrol somewhere in Vietnam. This view was seen by thousands of soldiers while serving in Vietnam every day. This large acrylic painting can be Purchased now for $6,500.00. 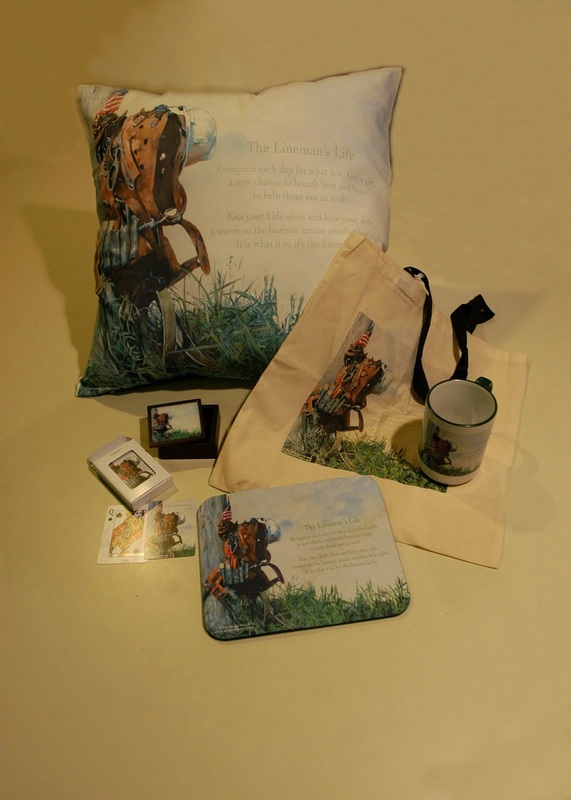 Delivery is free anywhere in the United States and can be expedited in seven days of purchase. 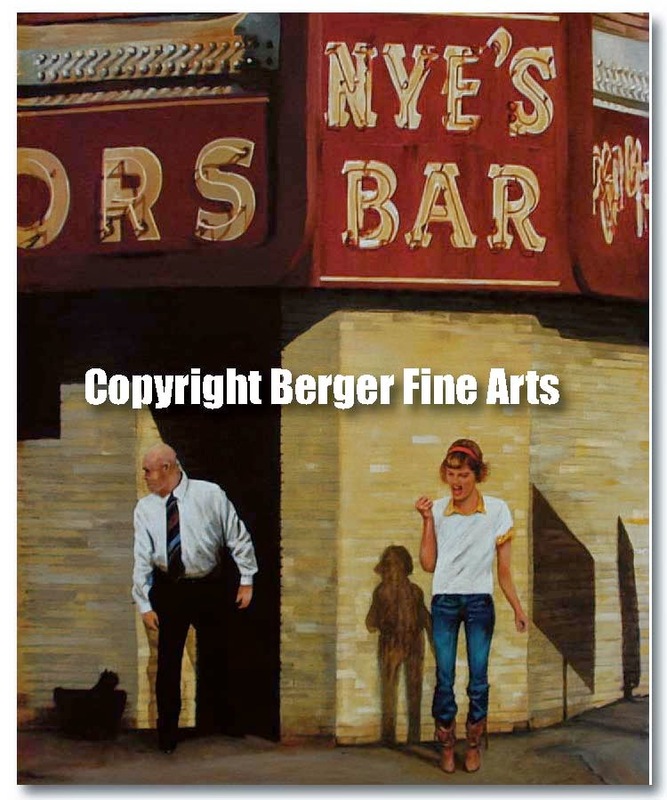 Email:steve@bergerfinearts.com if interested. Prints are also available. Click this link to order prints. 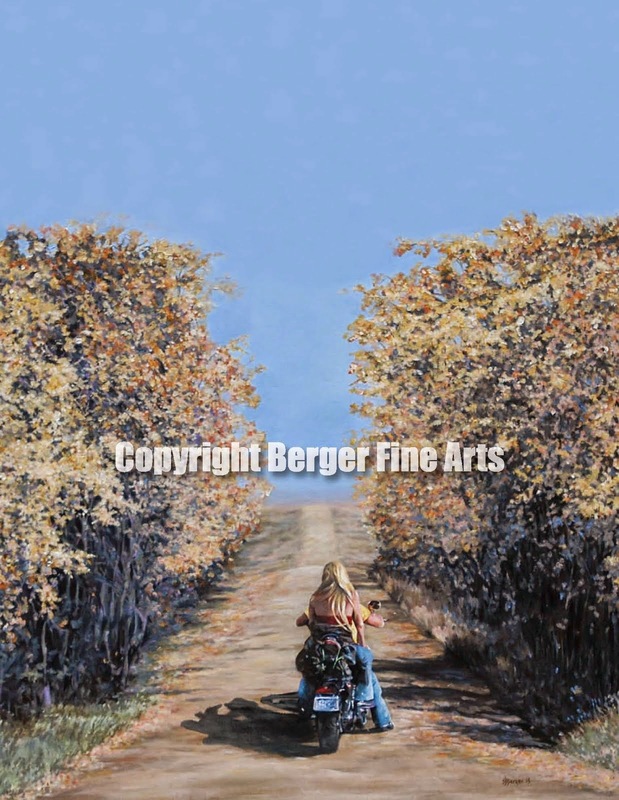 http://bergerfinearts.com/products-page/americana-art-prints/ 16"x20" Giclee prints are signed and ready for mat and frame for $150.00. I just finished this painting of St. Mary's church in Clinton Iowa. The church construction was finished in 1888 and was eventually torn down in 2009. This magnificent structure was built by Irish immigrants and was home to more than 500 families. Historical references to the church are sketchy and I could not find any decent photographs that showed the bell tower with cross on top right down to the brick cobblestones in the street in front of the church. I also wanted to include the concrete in the middle of the street showing where the trolley cars tracks were at one time. These trolley tracks were ripped up and filled in with concrete. 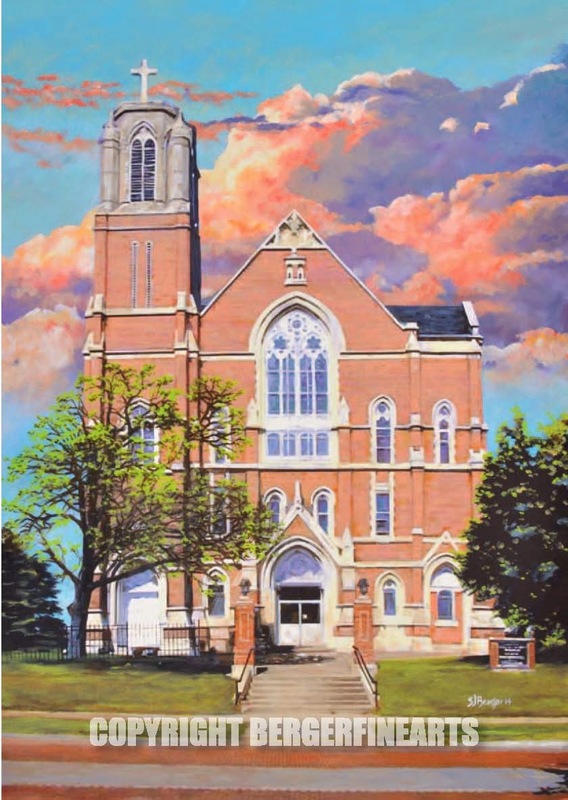 I tried to add drama to this painting with the clouds rolling by in the sky behind the church. Maybe they represent the tumultuous times this church had seen. 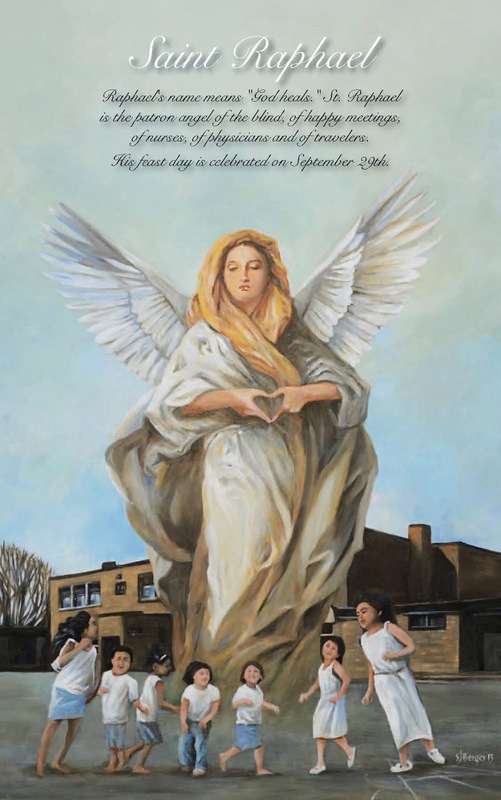 It's too bad that the church, the high school and the grade school are all demolished. For a lot of people in Clinton and those parishioner's who moved on and are spread out over the world these buildings carried a lot of memories. Why this building was not labeled a historical site is a mystery to me. An additional piece to the "Farm Series" features two "quiltin' buddies" admiring their work. 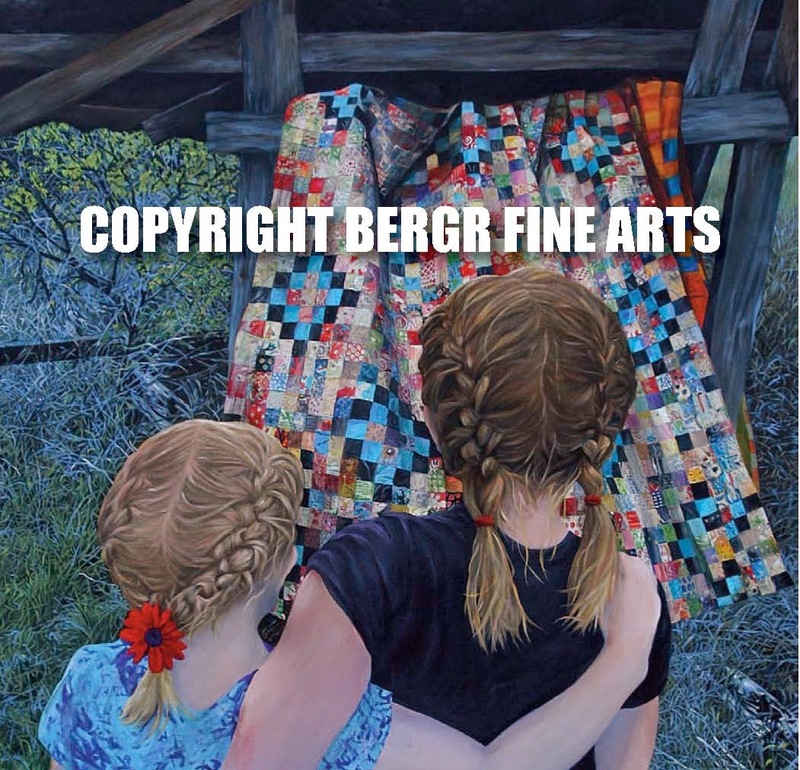 This painting shows two young girls who's braids are competing with the patterns in the quilt they are admiring. They could be sisters maybe friends but its a scene I am sure is played out a lot in rural America during the summer months. 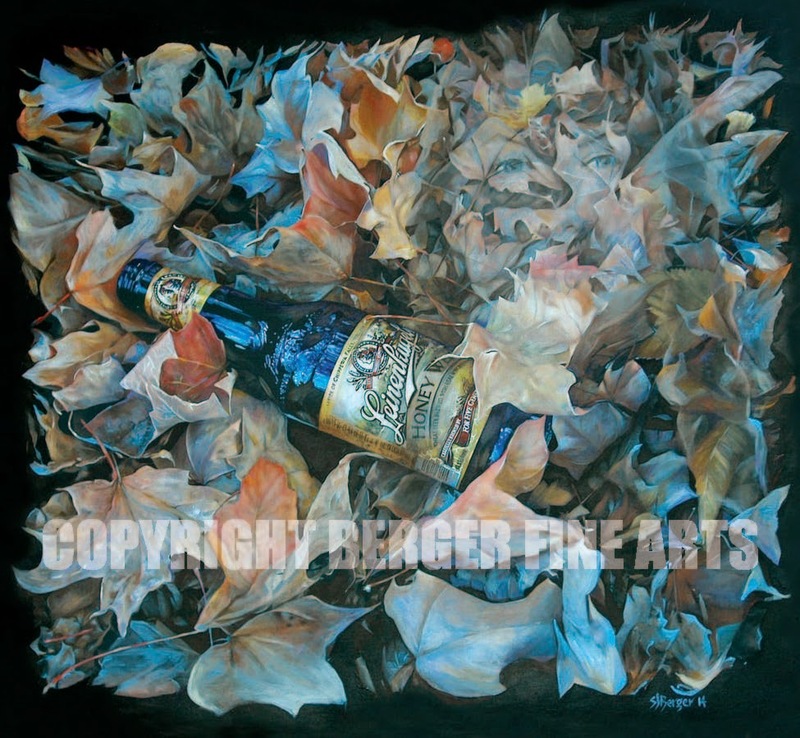 This painting features a lot of detail in every corner and its a fun painting to view. 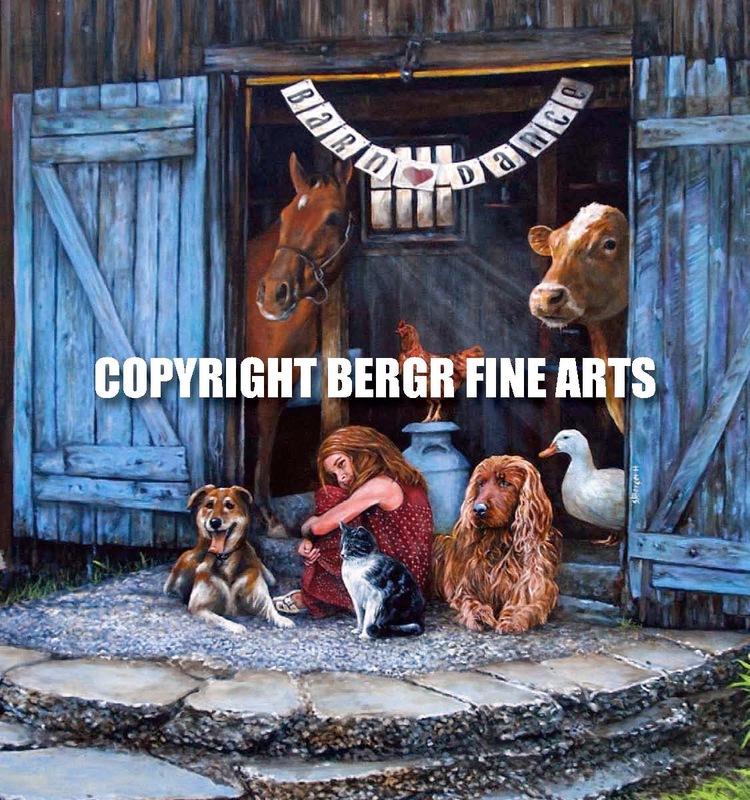 18"x18" signed prints are now available in the "Farm Series" section of the bergerfinearts.com website category. 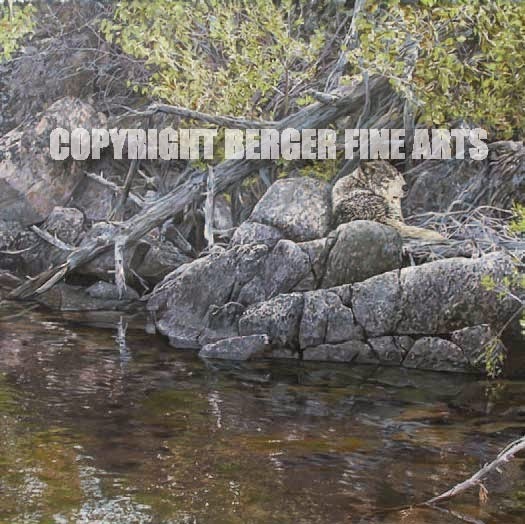 The original is also available for purchase and measures 35"x35". 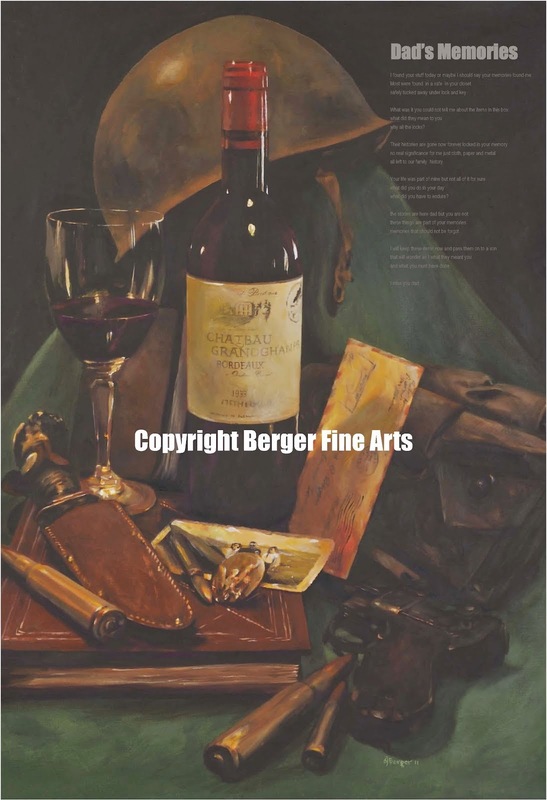 If interested emails steve at berger fine arts and we can discuss. Here is the newest painting from the farm series. A host of charachters wanting to party but waiting for their guests to arrive is agonizing. I struggled where to draw the line for additional animals to include and settled on the usual farm cast of feature charachters. Signed 18"x18" prints of this painting are now available on the website under the "Farm Series" button. The "Barn Dance Party" 34"x34" acrylic original is also available to purchase. 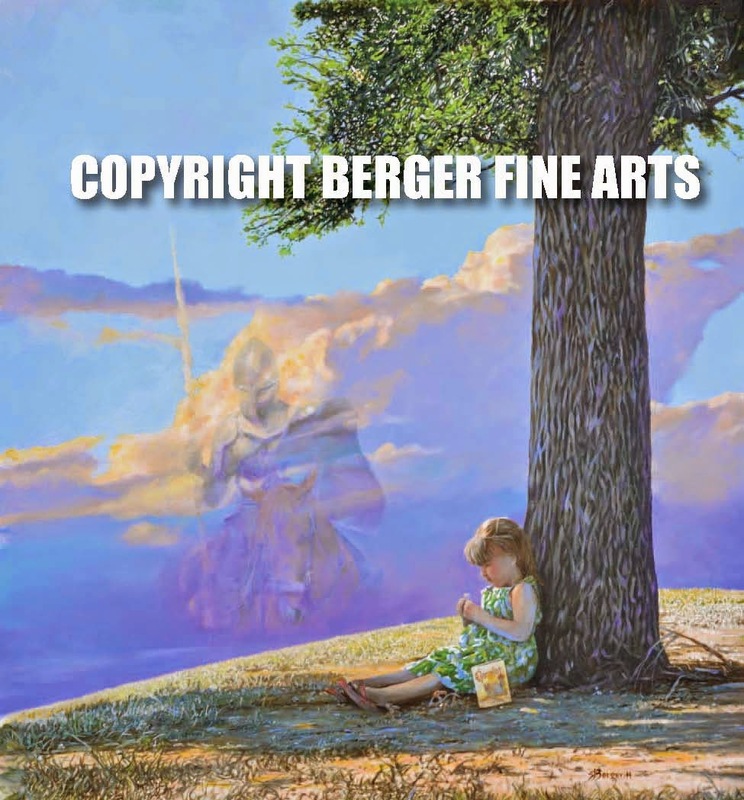 If interested email: steve@bergerfinearts to discuss.